Funky sneaker in traditional style. 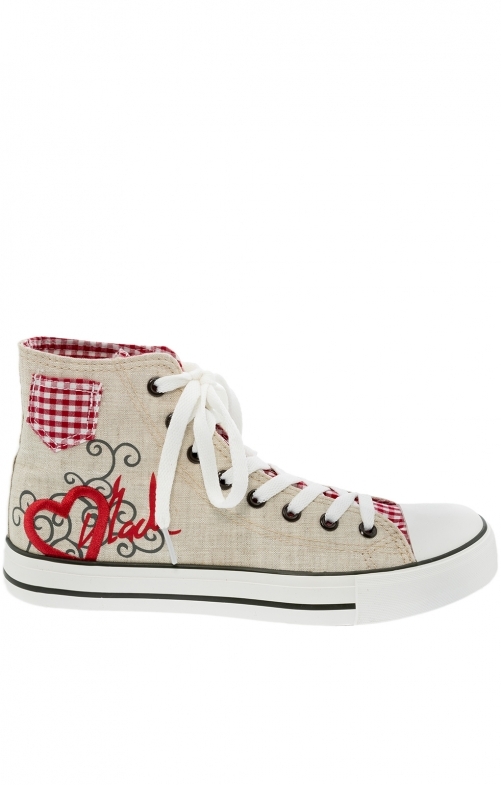 In this red dirndl traditional sneaker from our online shop, the foot becomes an eye-catcher. The women's shoe made of durable linen not only adds the finishing touch to every traditional outfit. It is a successful and universal combination model, which attractively focuses on tasteful, trendy casual clothing for fashion-conscious ladies.